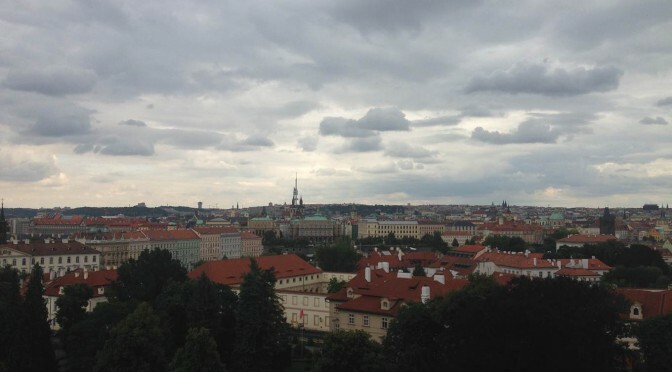 Capital of the Czech Republic, home to about 1,273,000 people for 496 km2. Time: GMT+1, Summer Time: GMT+2. Historical center: Castle district (Hradčany), Malá Strana, Old Town (Staré Město), New Town (Nové Město), Vyšehrad. Check www.mapy.cz or get the app. Opening hours: most shops are open from 8-9 a.m. to 6 p.m. during the week, and from 8-9 a.m. to 1-2 p.m. on Saturday. In the city center however, shops, malls and supermarkets are usually open during the weekend and in the evening. Exchange rates: around 25-26 Czech Korunas (CZK) for 1 euro. There are many exchange offices in the city center. However, it is better to withdraw some cash directly from the ATM (available at the airport in the Arrivals Hall). It is usually possible to pay by credit card. Tipping: it is usual to leave a tip, especially in restaurants and cafés. The amount is usually 10% of the bill. For your itineraries, check www.dpp.cz or jizdnirady.idnes.cz (and its app for Prague’s maps and trains/buses schedules). Or the CEDAZ shuttle bus, that arrives at v Celnici, near Naměsti Republiky. Tickets: tickets can be used in all public transports, provided that they are marked upon entering the metro, tram or bus. They can be bought in metro stations, hotels, information stands and in some tobacco shops and newsstands. 32 CZK ticket: valid for 90 minutes after marking in all public transports. 24 CZK ticket: valid for 30 minutes after marking in all public transports. 110 CZK ticket: valid in all public transports for 24 hours. Please note that if you carry oversized baggage, you have to buy an extra ticket for 16 CZK. Weekly or monthly tickets can be more profitable for a longer stay. They can be bought in some metro stations, especially in Můstek (entrance on Jungmannova Square). Three lines (A, B, C) operate daily in the entire town from 5 a.m. to midnight, with the above-mentioned tickets. Trams operate daily from 4:30 a.m. to midnight. Their schedules can be found at the tram stops. Trams n° 501 to 513 also operate by night and leave every 30 minutes. The price for 1 km in Prague is about 18 CKZ. A ride from the airport to the city center (30 min) usually costs about 600 CZK. Main Post Office: Jindřišská 14, Prague 1, tel. +420 221 131 111, open daily 2 a.m. – midnight. Opening hours: Mo – Fr 9 a.m. – 12:30 a.m. Opening hours: Mo – Fr 8 a.m. – 5 p.m. Opening hours: Mo-Th 8 a.m.- 4.30 p.m. / Fr 8 a.m. – 2 p.m. Opening hours: Mo – Fr 8:15 a.m. – 4:15 p.m. Opening hours: Mo – Fr 8 a.m. – noon / 1 p.m. – 4 p.m.